However, people usually divide bow cases into 2 basic kinds which are soft and hard shell cases. They are available for the various shapes and sizes. Simple speaking, it is just a big nylon pocket to wrap up all of the equipment with some extra pocket for smaller tools. It is much lighter than the hard shell case, therefore, it is very easy to carry for long distances or for those who have to travel many times. However, because of its flexible material, it cannot contain many things heaping up together inside. If you do so, the bow or the other equipment will be damaged or broken. Besides, it is not also durable but its price is rather affordable. If you are on a tight budget, why don’t you try this kind? In another word, it is a big hard and solid box to contain the equipment. Its material is hard plastic or light mental, which is results in the heavier weight than the soft shell case. However, because it is made from hard material, it provides more protection to your tools and you absolutely are able to stack them without worrying if they are damaged or broken as the soft shell case. Also, it offers you many compartments to store and keep the bow and many other things in right place without moving while carrying. 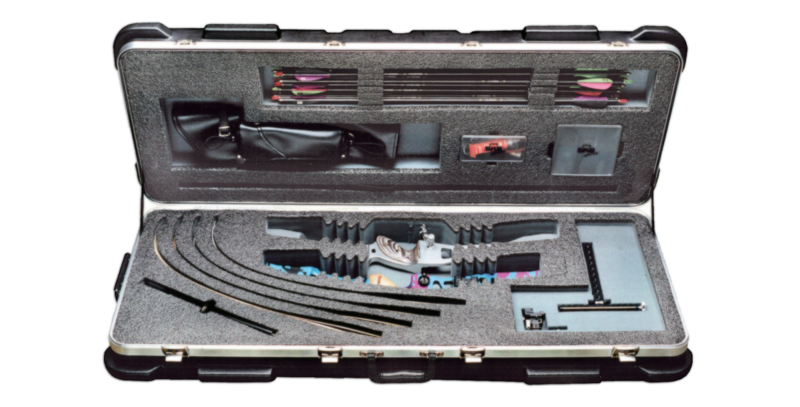 Todays, while the demand of bow cases is increasing rapidly, there are many types of hard shell cases that have the handles and wheels for more easily moving. Besides, it is rather durable and offer the highest protection as well. There is a general rule of thumbs: more convenient the case offers you, more expensive it will cost. In reality, this kind of case is usually used for Olympics or other competitions by the archers. Like those socks we usually use for your feet, this kind sock is particularly used for bow, especially recurve bow. Its material is often nylon or fabric. When unstrung, slip the sock over the bow until it cover the entire of it. It has the function of reducing rubbing repeatedly with other equipment while wrapping them together. It can be either soft shell case or hard shell case to hold a single Olympics bow. This kind of bowcase offers some pockets with many different sizes to hold the entire of bow accessories. This kind of case can hold two Olympics bows inside and it is only the hard shell case. Double case is the most popular kind that archers usually use for competitions when they need more than a bow to compete. Depending on your preference, how large of your bow accessories, the distance of your travel and how many times you go, your budget, so forth and so on, you need to consider these elements to choose the most suitable kind of bow case for your bow. 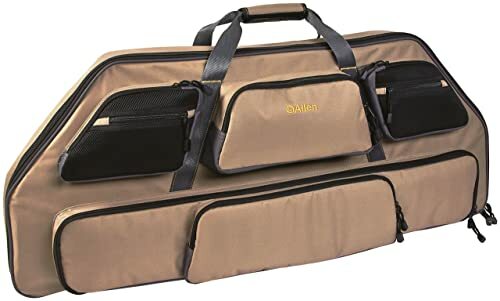 For example, if you attend a competition, you need to choose the hard shell case, if you have more than one bow, the double case is a worth investment. Besides, if you are new to shooting with a bow and your bow accessories is not large, let’s try a soft shell case for easy transportation.